Cuts 12.7mm half blind dovetails or rebated dovetails in one operation. 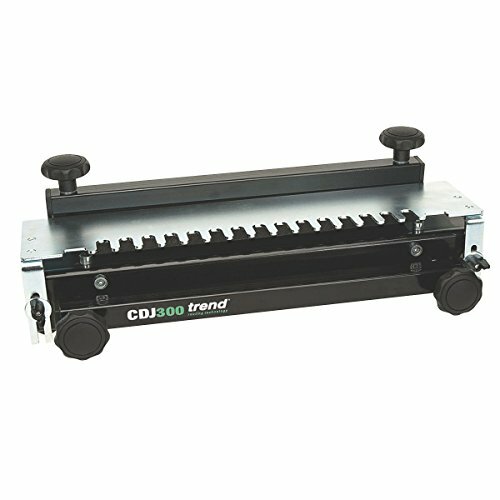 Clamps up to 300mm width. Product contents:¼" shank TCT dovetail cutter and 15.8mm guide bush. Specifications:For use with ¼" shank capacity routers. Material width 300mm. Thickness 12mm to 25mm. Dovetail size 12.7mm.